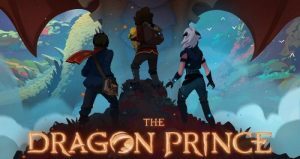 After a lengthy break for the holidays, Kyle and Claire ring in the New Year by talking about the Netflix original series, The Dragon Prince. Kyle begins by further exploring a topic we began in our last episode – how the morals of the day are reflected in children’s animation. He picks up after Disney’s Snow White and the Seven Dwarfs and takes us through Nickelodeon’s Avatar: the Last Airbender. Next, it’s Claire’s turn to break down how the show’s creators went from working in executive positions at Riot Games to getting their new animation project funded by Netflix, and how Netflix uses its subscriber data to tailor make original content for its viewers. Our hosts conclude with a full discussion of our pairing, (if they pair well at all) and how learning more about Snow White and The Dragon Prince influenced their reactions to both.